Recently, there have been several controversies involving celebrity YouTubers and their partnerships with shady companies, as well as companies who promote gambling. In the past, these partnerships were hidden, and promotions on YouTube were more overt. However, now, the controversy surrounding the partnerships and YouTube promotions are back out into the open. The reason? Several YouTubers have come under fire for promoting a possible form of gambling called mystery boxes. While the YouTubers and the businesspeople have stated that mystery boxes are just a game, and not gambling, many people believe that mystery boxes are gambling. The YouTubers that are promoting the boxes are young, and their fans are young as well. Because the fans of YouTubers like Jake Paul are young, many people have said it is wrong (and perhaps illegal) for them to promote boxes that may be a form of gambling. Jake Paul, whose older brother Logan Paul is every bit as controversial as Jake is, is 21 years old. He became famous by posting funny videos on the short video application Vine. He then was tapped to star on a Disney Channel show, “Bizaardvark.” Bizaardvark is a television show that shows groups of teenagers making their own videos, where they do crazy things to get video views on an imaginary video platform. However, as Jake Paul got more controversial, the Disney Channel, which brands itself as a family platform, let him go. He has released songs that have debuted on the Billboard Hot 100. Jake Paul also has launched a creative development and influence agency. 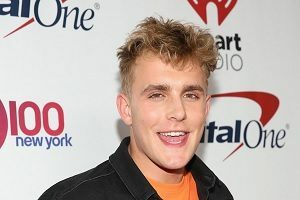 Jake Paul has made a living off his video stunts. For example, when he was invited to the White House in early January of 2017, he hid in the bathroom, and snuck out at 3:30 a.m., without being seen. He has filmed crowds of fans gathering outside his home in Beverly Grove, a suburb of Los Angeles. The crowds became so large that he was sued by his neighbors for trespassing and disturbing. Until the recent outcry over mystery boxes, Paul’s most scandalous video upload was a video entitled “I lost my virginity.” After the outcry over the sexually explicit video that was on his YouTube channel, it was removed by the company. As part of his creative promotion, Logan Paul and one of his friends, RiceGum, have been promoting a company called MysteryBrand. 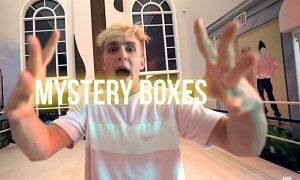 MysteryBrand, which both RiceGum and Jake Paul have an interest (partnership) in, advertises the sale of a mystery box. People can go online to the website and buy a mystery box electronically for a flat rate. When they buy a mystery box, the box then opens, so that a prize is revealed. The two YouTube stars have been promoting fabulous prizes, but many people who have bought a mystery box have complaints. One of the complaints is that in many countries, such as Europe, Australia, and the United States, the use of mystery boxes could be considered a form of gambling. This is because the mystery boxes may or may not have a prize in them. Gambling experts believe that the mystery box prizes are determined through random number generators, which constitutes gambling. This notion of gambling through mystery boxes is a continuing debate of loot boxes, which are used in video gaming to award additional uniforms and prizes. 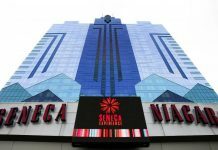 However, like mystery boxes, the prizes in loot boxes are randomly awarded, and several countries are investigating them as illegal gambling activities, especially for people under gambling age. 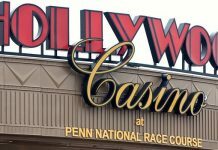 It appears that Logan Paul and others have stepped foot into an ongoing debate; not only over advertising, but over gambling and promotion of gambling in general.